I worked landing page on music subject. It was very fun. I would like to hear your opinion and get some feedback about it. 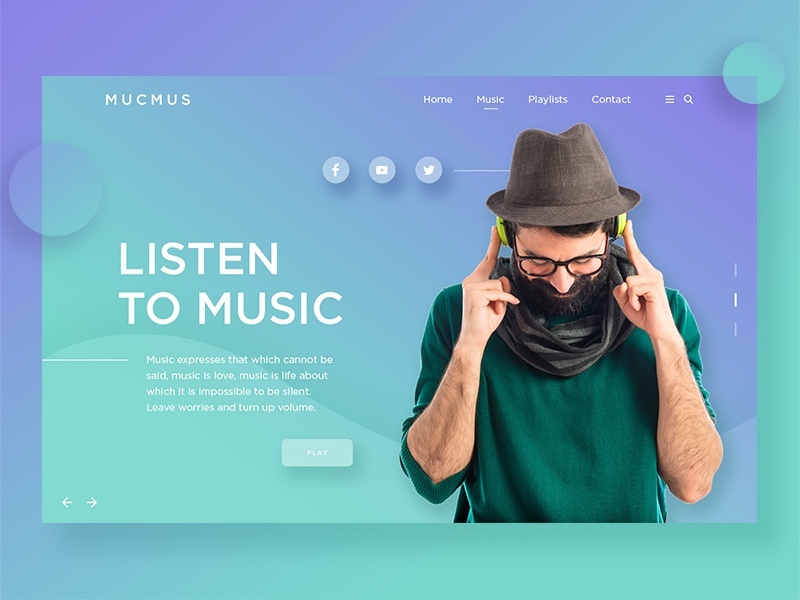 Name ‘MUCMUS’ for this site is created from two words: MUCH and MUSIC.